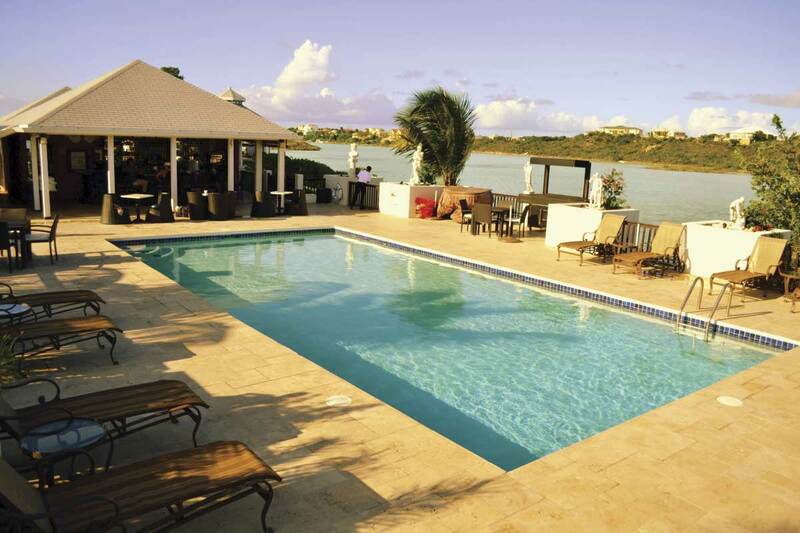 Las Brisas Restaurant & Bar and Neptune Villas hold court over lovely Chalk Sound. 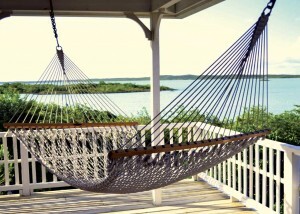 Hammocks on private terraces at Neptune Villas overlook Chalk Sound. Chalk Sound is one of God’s most beautiful creations. The water in this shallow inland sea always seems to beam with a heavenly glow, in a blue that can only be described as otherworldly. Adding to the scene are hundreds of tiny cays, outlined in rugged limestone, topped with bright green bush. Sometimes the Sound is so calm you can see bonefish weaving over the powdery bottom. But usually, the steady eastern tradewinds make their presence known with ripples and curls cutting the surface. 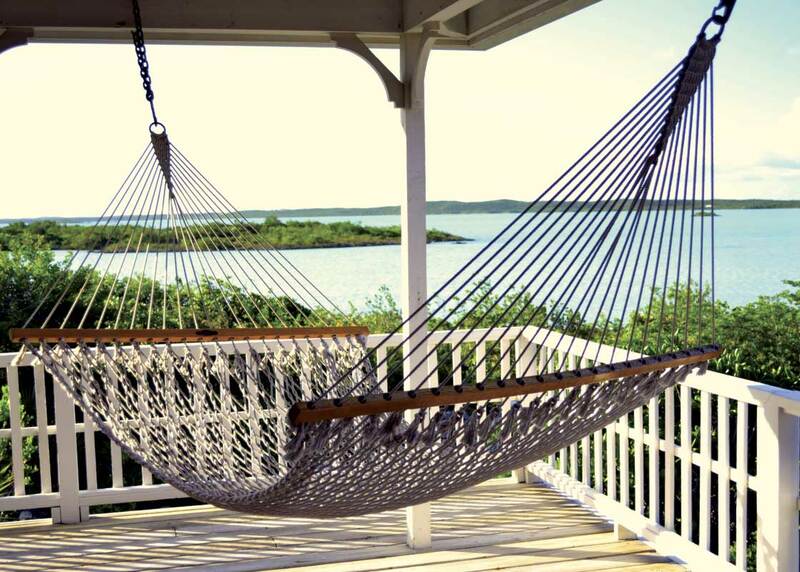 Neptune Villas, with Las Brisas Restaurant and Bar, reign over the southeastern corner of Chalk Sound National Park as if representing the Roman god of the sea. Its 10 villas hold court above the voluptuous landscape, with views a 360º panorama of water and sky, while the restaurant’s famous gazebo seems to float over the shoreline, enveloped by the sea. 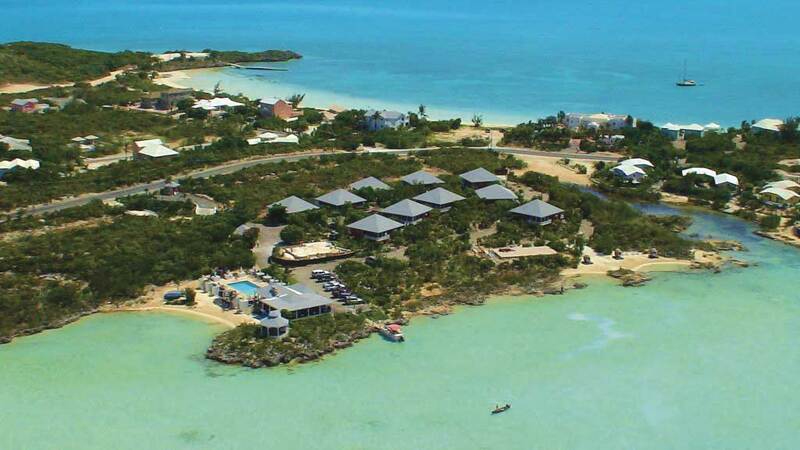 I’ve lived next door to Neptune Villas for nearly 20 years, and I can recall when the Chalk Sound area was considered “no-man’s-land.” It was far from the bright lights of Grace Bay, out in the bush, too quiet for most tastes. Now, residents and visitors appreciate its peaceful atmosphere and beautiful vistas, and the shoreline tracing the Sound is dotted with upscale homes for several miles. The pool/patio at Neptune's Villa is open to all patrons of the bar. The hard-working family and their team have mined a diamond out of the rough. Today, the property is a well-run, high-quality resort, with villas luxuriously outfitted, roads paved, the grounds well-kept and every public area gleaming. Each villa sports four private terraces, ideal places to relax and soak in the views and refreshing breezes. With two bedrooms, two baths, a large, open living/dining area, a full kitchen outfitted with state of the art appliances and air conditioning and ceiling fans to complement the vaulted ceilings, the value-priced villas are the ideal vacation choice for visitors who appreciate the glory of nature and its tranquil beauty. 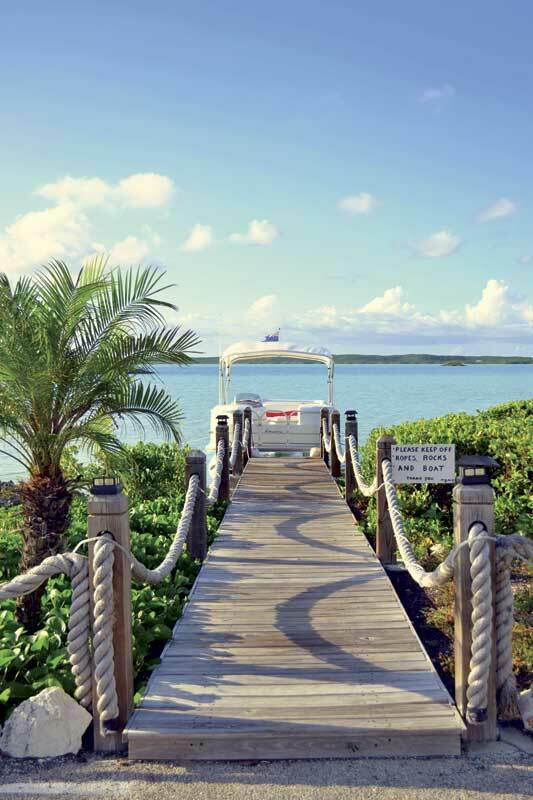 Here, guests can relax on a private beach, cross the street to Sapodilla Bay, a popular shallow-water cove that’s ideal for young children, explore the mangrove-lined shores of Chalk Sound by kayak, canoe or pontoon boat, or simply relax with a cool drink under an umbrella on the comfortable patio. 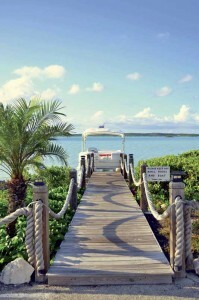 A pontoon boat cruise is a great way to explore Chalk Sound. The on-site Las Brisas Restaurant has become one of the most popular “off Grace Bay” dining venues for Provo residents and visitors. Not only do the gazebo, enclosed dining room and outdoor patio offer truly spectacular locations to enjoy a meal, but the food and service live up to the superb view. The Mediterranean/Caribbean menu is a melange of the owners’ varied ethnic tastes. A large selection of tapas is a good way to start your meal at Las Brisas. Most folks choose several to share over a glass or bottle of wine from the inviting and reasonably priced wine list. Tapas range from the authentic (Spanish omelet, Portuguese chorizo, or prosciutto from Spain with manchego cheese) to the traditional (bruchetta or baked brie) to the Caribbean influenced (coconut shrimp and conch fritters) and even include wontons and nachos. Las Brisas’s signature dish is paella, here a traditional Spanish seafood version, done to perfection with mussels, clams, shrimp, scallops and fish, and portioned for at least two large appetites. Most seafood offerings are freshly caught by South Caicos fishermen and can be prepared to your preference, with a choice of sauces. Also cooked to your preference is an enticing selection of meat and chicken entrees, large portions served with a choice of side dishes. Smaller appetites and lunchtime diners will appreciate the pasta dishes and sandwiches, along with a interesting array of salads. After dinner, besides the flickering tiki torches and sparkle of the stars, cheesecake, tiramisu, flan and key lime pie also beckon! I’ve found service to be careful and polite, a hallmark of the entire property, throughout which the friendly, welcome presence of at least one of the on-site owners is a given. On any afternoon, Las Brisas’s lounger-lined patio feels ever-so-Mediterranean. It must be the combination of golden sunlight, fresh breezes, Greek statues and inviting pool. Luckily, residents are welcome to partake in this mini-escape from Provo. Rolly at the bar serves a huge selection of cocktails, smoothies and snacks, including his famous Mojitos and Sangria, all said to be the best value on the island. Patrons are welcome to enjoy the pool and patio, and kayaks and canoes are available for rental. If you’re feeling adventurous, you can explore Chalk Sound’s three-mile stretch via a two hour guided tour on the pontoon boat. It includes beer, water and refreshments for 4 to 12 persons, with sunset and specially catered cruises an option. 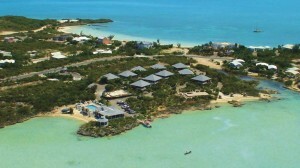 Aerial view of Neptune Villas property. I often hear a soulful voice wafting along the shoreline; Jovanna tells me this is local singer Justice, who performs on Friday and Saturday nights. The lovely dining area and bar are also popular for wedding receptions, parties and celebrations of all sorts, especially during the holiday season. Las Brisas serves lunch and dinner from 11 AM to 10 PM daily except Tuesday. For information, phone 946 5306 or 331 4328. To reach Neptune Villas/Las Brisas, follow South Dock Road south until just before it ends, turning right on Chalk Sound Drive. Las Brisas is marked to the right less than 1/4 mile down the road. For more information, visit www.neptunevillastci.com.